Tina Eskridge is the Senior Director of Cloud for All at Microsoft. 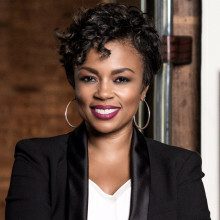 In this role, she is responsible for driving all aspects of diversity & inclusion strategy and inclusion marketing across Microsoft’s cloud products and platforms. Tina has more than 15 years of strategic management experience across multiple industries including retail, financial services, software, consumer goods, and education. Tina most recently served as Senior Director of Retail Channel Operations across North and Latin America at Microsoft, where she maintained responsibility for all aspects of strategic channel engagement, supporting device operations and planning for some of the world’s top retailers such as Amazon, Best Buy, Walmart, Target, Gamestop, and Costco among others. She is an active angel investor, member of the community and champion for diversity. Tina is a member of Pipeline Angels, as well as a graduate of Syracuse University and Howard University, where she earned her MBA. She currently resides in Seattle.